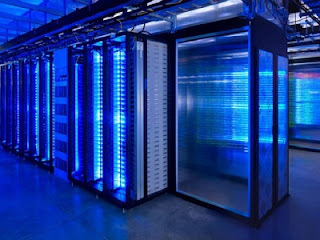 Suppose you were to sneak into a datacenter run by Google or Facebook or Twitter and take a pickaxe to a random server. What would happen? Firstly, you would be arrested. But what data would be lost? In all likelihood nothing. You might have rent RAM chips and hard drive platters asunder, but the bits that were previously inside the machine would be safe and sound. How is this possible? Careful and deliberate redundancy. At large internet companies the exact same information lives in several geographically diverse datacenters. Even a catastrophe at one location should not result in lost data. It’s important to realize that this extreme resiliency and lack of locality is not an inherent property digital information. Quite the contrary. 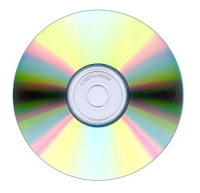 Run of the mill digital information, say the unbacked-up hard drive in your laptop or a DVD of family movies in a shoebox, is highly location specific and incredibly fragile. Trauma or simple degradation can completely and permanently wipe out these islands of isolated data. Consider yourself warned. Digital ones and zeros are an abstraction. The abstraction is that they are pure and absolute, noiseless, lossless, and permanent. The reality is that bits are physical and fragile, subject to noise, degradation and loss. Real bits are stored in “everyday” physical constructs like electric charges, electromagnetic waves, or magnetically charged particles. All of these are subject to corruption and noise and will degrade over time. Only by the overwhelming application of infrastructure do we approach the abstraction, do we make bits seem omnipresent and indestructible. Both views of bits are worthwhile. At times think of them as weightless and otherworldly, out there in the ether with no real physical location. Other times keep in mind that every copy of your digital information has some real-world physical representation. Consider composing an email. Deep inside the computer a unique physical structure is coming into existence. Key press by key press you mold and shape this tiny little physical thing. And when you hit send? A physical representation of your object is transmitted vast distances through wires and over the airwaves, culminating in the recreation of a perfect copy of that same physical structure in some remote machine. Not dramatic enough? Consider Twitter. Lady Gaga has close to twenty million followers. When she, or her publicist, hits send on a tweet the little physical gem of wisdom is replicated in literally millions of phones and computers around the world. Picture a stadium hundreds of times larger than the Super Bowl filled with people. Simultaneously this identical physical little nugget is constructed in all of their phones, tablets and computers. The power of that one little send button to effect physical changes in the world is staggering. This physical nature of data relates to virtual worlds as well. 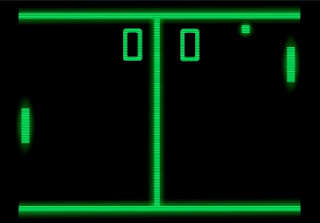 In computer games and graphics we’ve gone from Pong to Modern Warfare 3 in a few decades. Soon computer simulations will rival reality in graphical detail. What would it mean to interact with a virtual world whose complexity and nuance compares to the real world? The virtual world like all digital information is really manifest as a real-world physical structure. The structure exists in the memories of real computers. The structure came into being by the physical interaction of real people. A programmer typing software code or a digital artist modeling objects, both are physically changing structure of the real world. The brain of course is also a physical system. Your warm and fuzzy memory of an early Christmas is represented somewhere in the physical connections of neurons in your brain. The thought you had a second ago about what to have for dinner is represented by firing patterns of neurons, firing patterns which are entirely physical involving voltage-gated ion channels and the diffusion of molecules across small physical gaps. So our future human sits down to interact with a virtual world. What’s really going on? On the one side we have this messy physical brain and on the other side we have this complex physical system, and the two are interacting. What is virtual about that? There isn't separate plane of existence where digital information lives. When you write software or email or facebook posts you are modifying the actual physical world we all live in. So carry on changing the world.